When heading offroad in your 4WD for an exciting adventure, a family holiday or your work responsibilities, confidence is key. You need to know you can safely manoeuvre out of unexpected and sometimes dangerous situations. Your family, colleagues and managers need to have confidence in you too. You need to have training behind you that you trust. We work with many private companies and government bodies teaching safe and environmentally friendly 4WDriving practices. When you head out in your 4WD, you need to have the knowledge, the experience and the confidence to handle any conditions that you encounter. Are you looking to become qualified in 4WDriving? Or, are you looking for adventure? We have a variety of courses for everybody. We are a company that excels in personal commitment and training in the field of 4WDriving. Learn more about our goals. Need Help Choosing a Course ? We’ve been living and breathing 4WDriving for over 20 years. It’s not just our work, it’s our passion too. We’re all 4WDrivers and know exactly what you need to get the most out of your vehicle. We teach you how to 4W drive safely and confidently under all conditions. You can go to all the places that you want to experience without endangering yourself, family, friends, the environment or your vehicle.  Our nationally recognised training will cover everything you need whether you’re 4WDriving for pleasure, adventure or as part of your job. A friendly, professional team well known for going the extra mile. Call (03) 9786 8490 to chat about your needs, look at our courses, or book a time to get started. PNL 4WDriving provides the skills and confidence to 4WDrive safely throughout Australia. Trust in us, we are highly qualified. We provide skills and confidence to 4WD safely throughout Australia.